The primary season in Harris County has been in many cases marred with negativity. 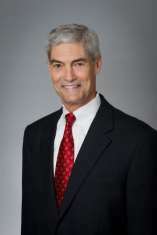 Despite the controversy surrounding the Harris County District Attorney's office these past few years, Judge Mike Anderson has managed to stay above the fray, and has resisted personal attacks on his opponent, even when his opponent displayed a ready willingness to engage in personal attacks against Anderson. Anderson ran a clean campaign, and is now heading towards November with strong momentum. Still, many in the legal community, as well as average citizens, wonder how Anderson will govern if elected. Anderson was available for an interview, and his comments serve to provide clarity on the matter. 1. What will be your biggest priorities as DA, assuming victory in November? The process of re-establishing the credibility of the Harris County District Attorney’s Office and restoring the public trust is the first priority. The policy of the office must be, and should always be, equal treatment for all, regardless of political or socioeconomic status. I will follow the law as passed by the legislature and honor the rights of individuals guaranteed by the Constitution. When you follow the law and treat people fairly, trust will be restored. I recognize repairing the public’s perception of the office will take time, but I am confident that my efforts to repair the relationship between the DA’s office and Harris County law enforcement will speed up the process. I am proud of the strong support I received from law enforcement during the primary and look forward to a continued positive relationship. Trust and cooperation between police and prosecutors are vital to the process of seeking justice. The DA’s office is a taxpayer-funded, service provider designed to seek justice and protect Harris County citizens. I will strive to keep that process open and accessible to the public and media. 2. What obstacles do you foresee to the implementation of your policy goals, and how do you propose to confront these? Public opinion of the office has suffered tremendously. But trust and a reputation for integrity must be restored. That can only be done by establishing and following a strong law and order policy. I will do this by forming a top notch command staff, implementing extensive training programs and hiring the best and brightest lawyers and support staff. We will recruit top law school graduates. We will reach out to all areas of the community to educate them about the function of the DA’s office and discuss the processes by which we can best serve them. 3. What, if anything, would you like to change as DA? The most important priority of my administration, if elected, will be service to the public. As a former prosecutor and administrative judge, I have always believed in having a servant’s heart working to right wrongs in our community. The DA’s office exists to seek justice for those wronged in Harris County. I will work to instill in every employee of the DA’s office the attitude of service, ethics, and dedication to the public we serve. 4. You have been a judge for many years. In what ways will this impact your approach to leadership as a DA? How does this prior experience affect your views on the powers and/or responsibilities of the office? Having been a prosecutor and a judge, I know the challenges and problems that arise in both roles. I have valued colleagues in both branches of the government (DA/executive and Judge/judicial), and the relationships I formed in both positions will benefit the working environment in the DA’s office. Just knowing how the process works will allow us to be more efficient and should benefit all involved. 5. Your predecessor faced numerous challenges in response to several unpopular programs and organizational conflicts. How do you differ from your predecessor on these and other issues? I will follow the law. If I don’t agree with a law or feel it is not in the best interests of the citizens of Harris County, I will go to Austin and work to change the law. But as long as it remains the law I will follow my oath to enforce it. I don’t have the delusion that the DA’s office exists for the glorification of the elected DA, but rather believe that the DA’s office exists to serve the public. 6. Previous leadership was reported to have been less proactive in the processing of cases. Is there a balance between efficiency and justice? What is the appropriate balance? Justice trumps efficiency. But, when you work really hard, with justice as your goal, efficiency naturally follows. Prosecutors make key decisions about pursuing a case to trial, making a plea offer, or dismissing a faulty case nearly every day. Making those decisions as soon as reasonably possible promotes justice and efficiency. The DA’s office must examine all credible allegations of wrongdoing. The attorneys and their investigators with expertise in specialized areas will be encouraged to pursue legitimate complaints proactively, with clear understanding that those investigations are to be confidential until or unless proof rises to the level of indictable offense. The public can be assured that, if I’m elected, my administration will be focused on justice with clear vision. 7. As a judge, you had to make difficult choices at times considering the interests of multiple parties. When it comes to justice and civil liberties, where will you draw the line as DA? The line is already drawn. That line is the law, and I will follow it. Anderson has drawn a bold line indeed. Will voters cross that line with him?